Address: No 177, Le Thai To Street, Xuan Thanh Urban Zone, Ninh Khanh Ward, Ninh Binh City, Vietnam. Ninh Binh – a charming and scenic land that has witnessed many remarkable feats by our ancestors as well as preserved magnificent architecture works until today. This is a sacred land of extraordinary people alongside with Trang An Scenic Landscape Complex making it a romantic destination, capturing the beauty and charm of the nature. 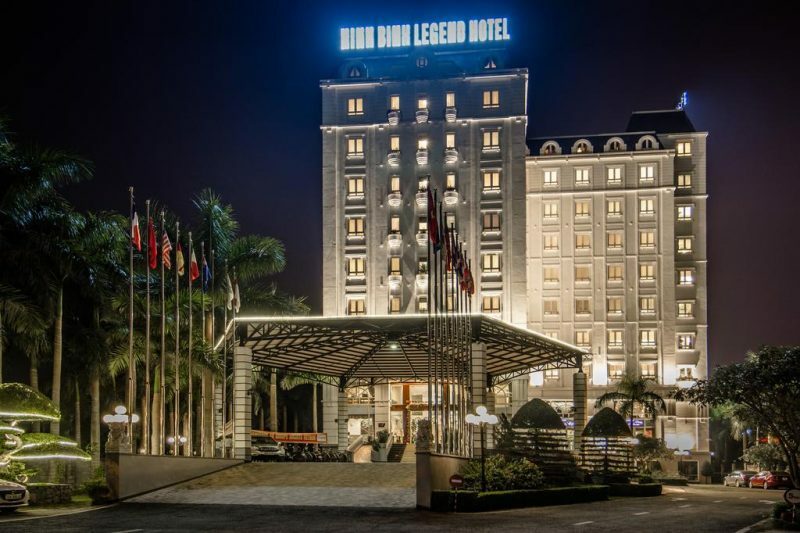 Ninh Binh Legend is a four-star hotel, locating on the main road of province. 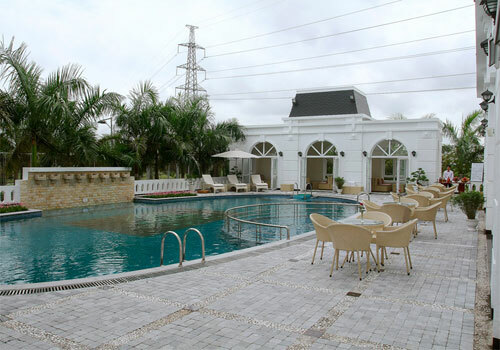 The hotel encompasses the French architecture style with full state-of-the-art facilities. It offers 108 luxurious rooms, with a tranquil atmosphere and an open view to the expanding mountains and immense paddy fields. 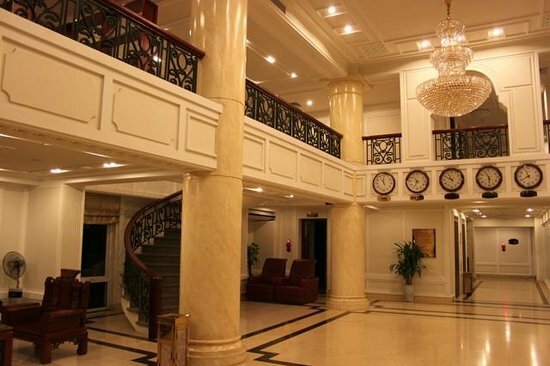 From the hotel, you can also easily enjoy the liveliness of the city. 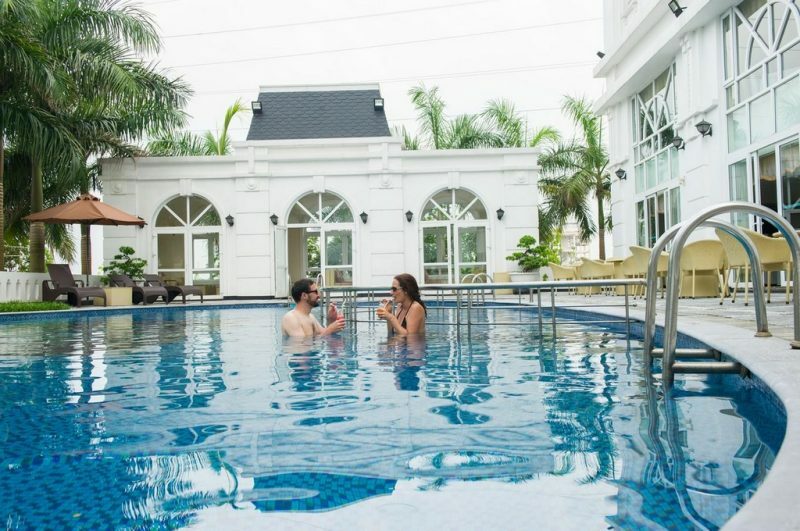 The hotel is situated right in the heart of city, in Xuan Thanh urban community with villages of villas, magnificent castles with delightful scenery, refreshing ecologic environment with good security. It takes only about 5 minutes of walking from hotel to A Nau pagoda and to the city square. Ninh Binh Legend is 6 km from Trang An eco-tourism center, 12 km from Hoa Lu ancient capital, 15 km from Bai Dinh pagoda and 12 km from Tam Coc – Bich Dong. Other than this, all basic needs such asfood, bank transactions and central markets are only 3 km from the hotel. 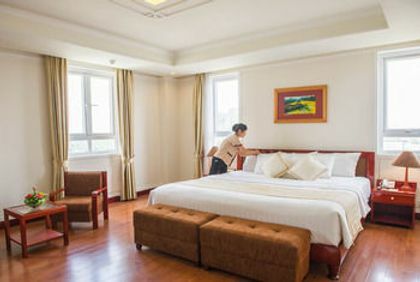 With the great convenience and diligent services, Ninh Binh Legend promises unforgettable experience for your journey to explore the local scenery. Legend Restaurant makes its own mark by many talented and skilled cooks. It offers the diversity and creativeness on the traditional Vietnamese menu as well as Asian cuisine to the world travellers. You can begin your day with an opulent breakfast buffet, along with favorite drink while overlook the fresh green garden besides the crystal clear lake. You may as well order dishes or opt for a menu set, or else Vietnamese buffet for your fabulous dinner at the restaurant. With spacious and premium design, Asia Restaurant is a perfect venue for events, meeting, fabulous reception, weddings, birthday parties, etc. Dishes prepared with fresh raw materials in unique cuisine styles by our skilled chef and his team will bring you a stay to remember. 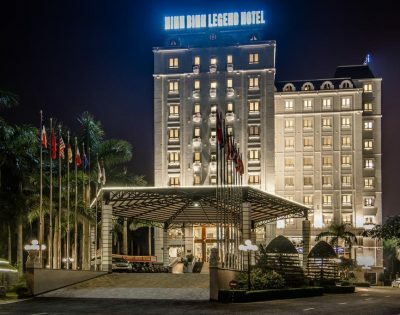 Nestled on the top floor, Legend Bar offers you a panoramic view of expanding mountains and the city, creating romantic atmosphere for you to enjoy your favorite drinks. The Bar serves more than 100 kinds of local beverages as well as high-class wine from all over the world. Indulging yourself in harmonious melody in open air, sipping wine or cocktails will be unforgettable moments of your journey. 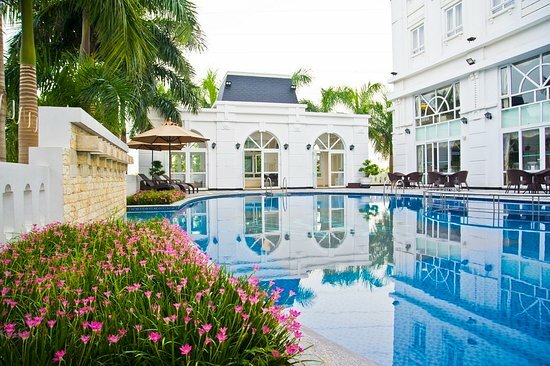 Outdoor swimming pool is in a spacious setting with surrounding green trees. After diving into the ocean, staying for a little while at Pool bar is a great idea of relaxation, to sip cocktails or have some light snack. The bright sky, crystal-clear water with scenic landscape around will bring to you a sense of all-encompassing and care-free tranquility, making you feel calm and peaceful within yourself. 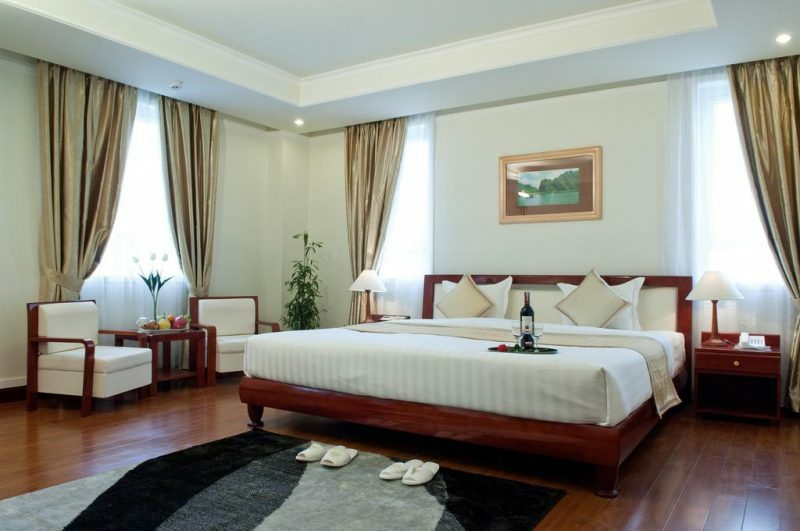 VIEW MORE: "Hotels in Ninh Binh"